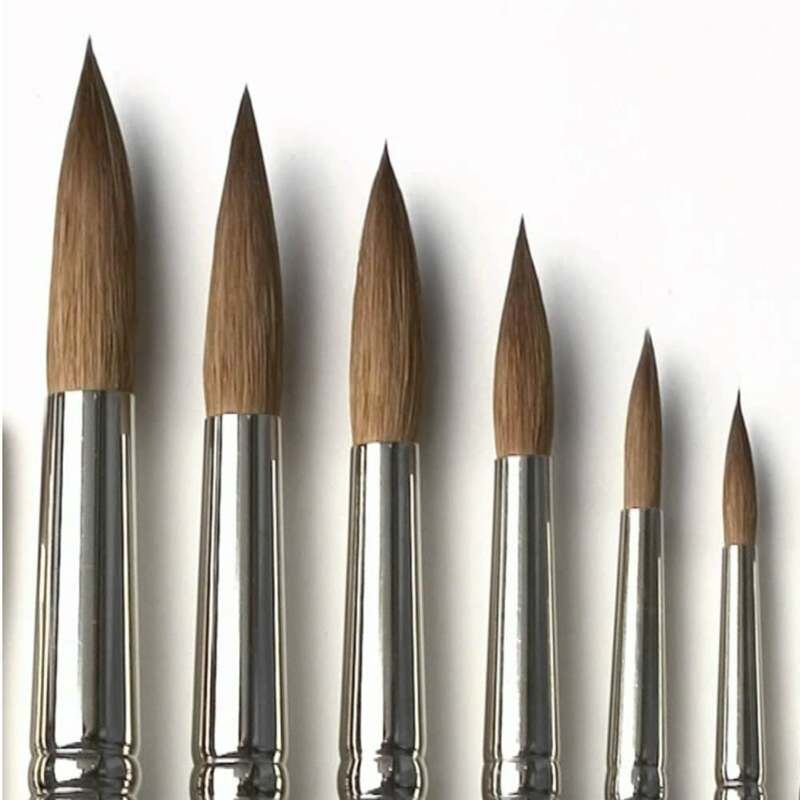 This handy set of pure sable brushes from Crafty Arts are ideal for watercolour, It represents a great saving over individual brush prices. The natural characteristics of the hair offer a good ‘belly’ allowing liquid holding capacity greater than for example Nylon. I read up about which brushes artists tend to use; sable was the type mentioned the most often for their paint-holding ability. I have used them a few times now and have to agree they are definitely a better-quality brush.